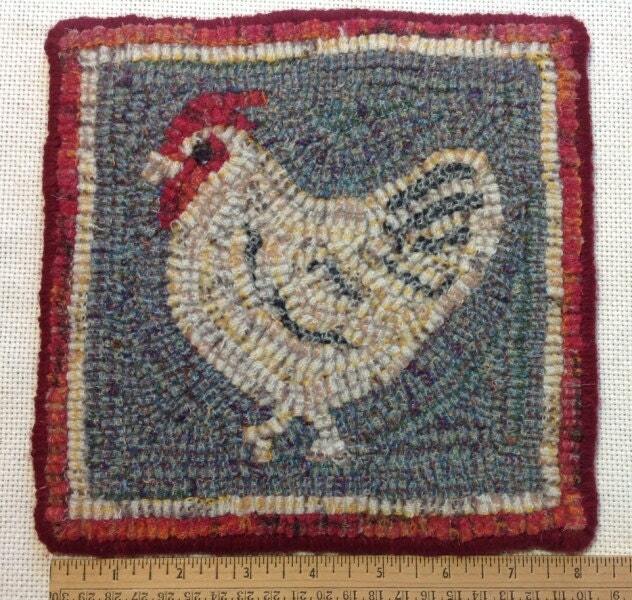 This listing is for the rug hooking PATTERN for "Chicken Mat", 8" x 8" This is for the pattern only. 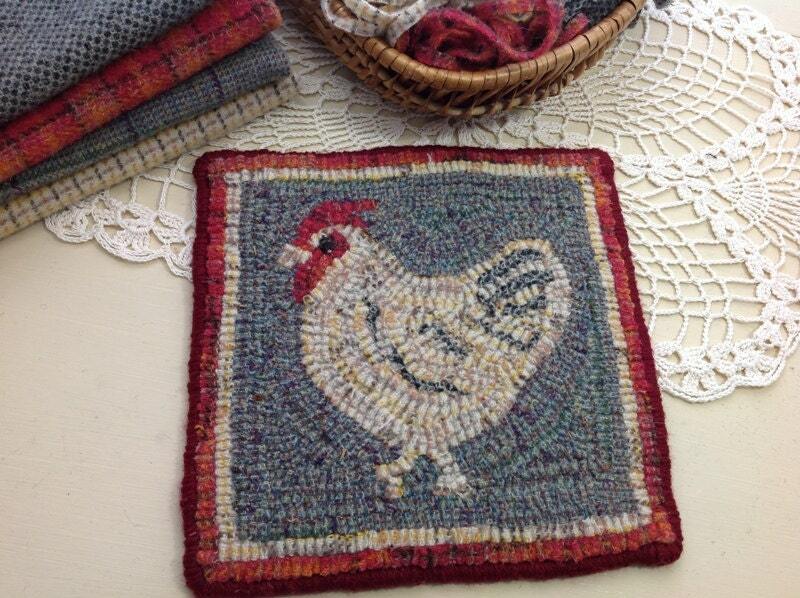 A 4" x 6" photo is included with the pattern. 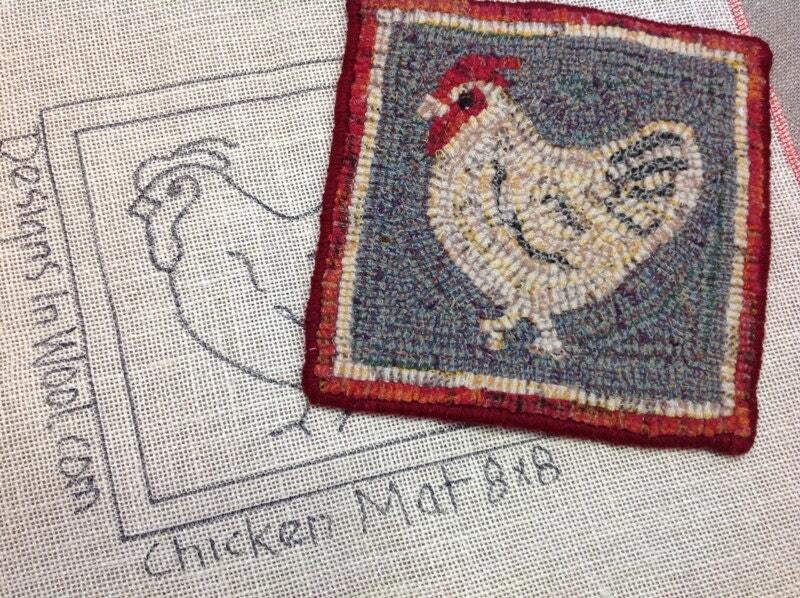 If you know how to hook or are planning to take a class, this is a great beginner project. Perfect for this time of year! Collect your favorite lights for the chicken, some red for his crown and wattle and a bit of black and white to add to the feathers. 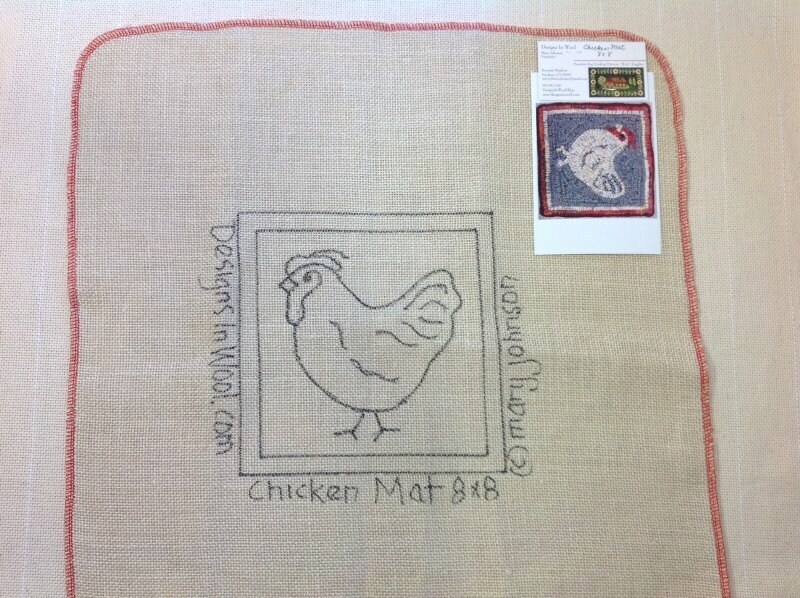 I hand draw the pattern on your choice of cotton monks cloth or primitive linen. The foundation fabric measures about 19" x 20" to make it fit on most lap top frames or in a 14" hoop. The raw edges have been serged to prevent raveling while hooking. Such a cute pattern! I received my order quickly, such a great selection, and I'll order from again and again!! !